Kathryn Hodges is 97 years old. She’s also the Public Health Nurse for the borough of Emerson, New Jersey. 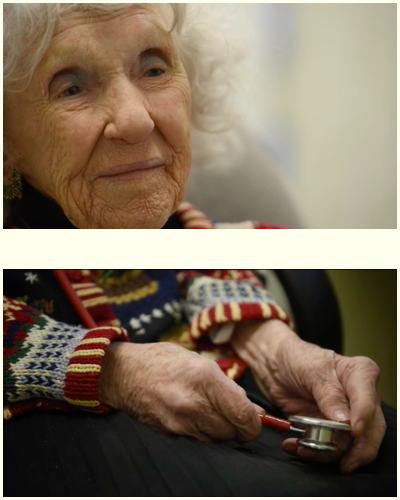 That makes her easily the oldest licensed registered nurse of the state, and quite probably the oldest in the country. Driving to her work in a 25-year-old Buick Roadmaster with a GRAMPIE vanity plate, she’s not planning to stop working any time soon either. Every month she goes back to Hackensack to take continuing education classes. Kay Hodges might be an extreme example, but in her own way she’s part of a trend. Back in the 1970s and 80s, only half of the people who worked as a nurse at age 50 were still working when they turned 62, and fewer than one in ten were still in the workforce by the time they were 69. But those numbers changed a lot over the years, according to groundbreaking research published in Health Affairs in 2014. In recent decades, three-quarters of those nurses were still employed at 62, and almost one in four were still working at age 69. The average age at which 50-year old nurses could expect to retire has crept up steadily, rising by 2.5 years. Those numbers are likely to keep increasing. Research published last year found that fewer than three in five nurse practitioners aged 60 or older was planning to retire within five years. Just 15% of those aged 55–59 expected to do so. This trend is changing the face of nursing. On the one hand, a flood of young nurses is entering the job market. The number of new graduates from nursing education programs surged from 74,000 in 2002 to 181,000 in 2012. But on the other hand, older nurses are making up a growing share of the profession — or as the Health Resources and Services Administration put it, growth “is concentrated in the older and younger ends of the age spectrum”. The average age of registered nurses (RNs) is now 45 years, and the share of nurses aged 50 years or over was expected to reach 36% in 2015 and “at least 40%” by 2020. One in six advanced practice registered nurses (APRNs) are 65 or older, a national survey from 2013 revealed. So is one in four clinical nurse specialists and certified nurse-midwives. The new graduates aren’t all in their twenties either! 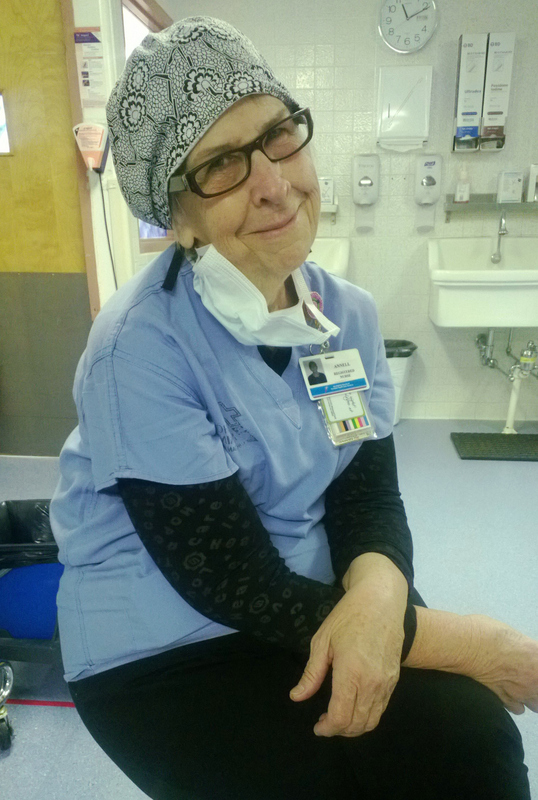 Annell Farris won the NurseRecruiter Nurse Photo Contest in 2013. She had launched her career as an operating room nurse just a few years earlier, after she graduated from the School of Nursing at John Hopkins University when she was 59 years old. Are you a nurse over 50? What are the things that keep you going? What has changed over the years? Let us know in the comments! Why Are Nurses Choosing to Delay Retirement? Some of the research confirms that Nancy and Kay aren’t the only ones to feel that way. The study on nurse practitioners of 55 and over, for example, found that they were overwhelmingly satisfied (52%) or very satisfied (40%) with their job. Older nurses often stay on because they enjoy “patient contact and interpersonal relationships” and when they feel “valued by senior management” and “recognised for their expertise and work”, an international review by Thendral Uthaman and colleagues found. RNs who keep working are driven by the satisfaction they get “from socializing with coworkers, caring for patients, keeping busy, and continuing their professional commitment”, the Health Affairs report confirmed. The broader picture is more mixed, though. It’s not all about job satisfaction. Financial considerations play a big role. People who keep working may be driven by limited savings, the expectation of higher health care costs in older age, an increase in the eligibility age for full Social Security benefits, and the costs of health insurance or dependence on the job’s health care benefits, Nancy Falk and her co-authors noted in the study on nurse practitioners. Changing jobs is not as much of an option for older workers because they face a less friendly labour market, and it might involve a sizable wage cut. A shift from defined-benefit retirement plans toward defined-contribution plans is also keeping women in the workforce longer, the Health Affairs report suggested. In addition, part of the pattern of nurses delaying their retirement was spurred by the effects of the economic crisis of 2007-2009, though the researchers specifically found that the trend goes back longer than that. The pattern also fits with a general development: American women used to retire earlier than men, but that difference is getting smaller. The kind of work nurses do makes a big difference too. Among nurse practitioners, those with with master’s and doctorate degrees were much less intent on retiring soon than those without. Those working in primary care were more likely to say they were planning to retire soon. So what does this mean for the nursing profession? There are clear benefits for employers, patients and fellow nurses, especially at a time when the demand for nurses is still outstripping the supply. When nurses retire later, their employers and younger nurses can rely for longer on their expertise. Older nurses “bring a wealth of knowledge and skills, gained from years of experience, that can be used to develop, guide, and mentor” their younger colleagues, Nancy Falk and her colleagues suggested. “Older nurses are known to be the most skilled and productive employees,” Thendral Uthaman and colleagues agreed. “They have a wealth of life experience [and] superior communication skills, dedication and loyalty”. But there are challenges too. Older nurses are more at risk of injury. Their willingness to keep working depends in part on the accommodations that can be made – more part-time jobs and flexible schedules, for example, and the opportunity to shift into positions that are more focused on mentoring or administration. If this trend is to continue and it is to make life easier for employers and nurses alike, some things will need to change. What that could be, exactly, we’ll investigate in an upcoming post! These nurses won $250 in our photo contest. Will you be next? Celebrate Valentine’s Day like a nurse with these very special cookies!